Literature review or ‘contextual framework’? Literature reviews are the one section of a PhD thesis, article or undergraduate assignment that strike fear into the hearts of even the most confident of students. Why are we so terrified of them? Reams of writing, many blogs and online advice pages, and hours of anxiety are devoted to literature reviews – the writing, reading, summarising, connecting, re-writing and re-reading that seem overwhelming at times. I am supervising a PhD student who is currently writing her literature review, and reading her 4th draft this week, a thought occurred to me: she isn’t writing a ‘review’ of the relevant literature; she is building, using the selected literature she has read as bricks and mortar, a contextual framework for her study. It seems to me that dropping the whole notion of a literature review and replacing it with a notion of creating a contextual framework, or rationale and foundation, for your study would offer you a few helpful insights into what you are actually trying to achieve with this part of your writing. The first is organisation: to write a PhD thesis, a book, or even a very well researched journal article, you need to do a large amount of reading. 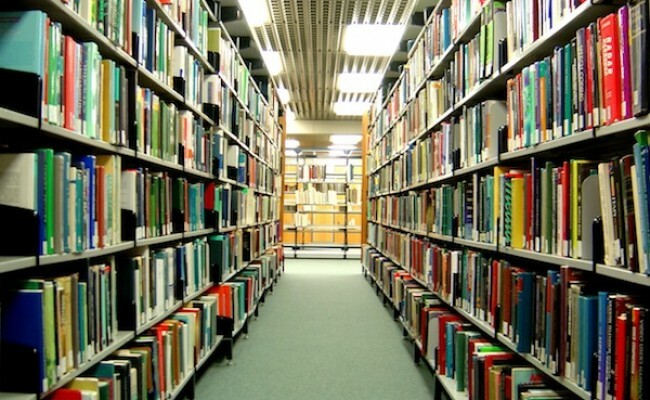 You will read many books and papers that are useful and clearly connected to your research, and you will read others that are less useful and may need to be left out of the writing. If you are writing a literature review, the temptation is often to use this part of the thesis or paper almost as proof of how much work you have done, and therefore how credible you are as a scholar. It is tempting to find a way to bring in every study you have read, and every paper and book, laboriously summarising for the reader every argument, valid point and connection with other similar or different texts. What may well happen then is a sense, for your reader, of a lack of organisation. Rather than selecting and situating relevant texts you have read in relation to one another and your study, you are simply showing them how much reading you have done and what all of the reading says about all the topics that may be relevant to your research. So it is a kind of literature review, but not one that will help your reader find their way into the specific context for your study. 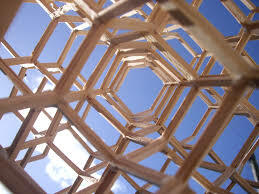 The second thing thinking about a contextual framework, rather than a literature review, could offer you is focus. Start with your specific study, and your research questions: what is this study about, in a couple of sentences? What main research question are you trying to answer? The research question will be refined as your study progresses, but you need to have a good sense of it earlier on to ensure that you keep your reading on track and relevant. What is the context you need to create for your readers, so that they understand a) what this research is about, b) why this research is so necessary or significant, and c) where or how what you propose to research will make a contribution to scholarship in your field of study (the gap you aim to fill)? By focusing on, and adapting for your study, these questions, you can better choose firstly to do the relevant or useful reading, and secondly choose the most relevant reading you have done to include in the framework, organising it to tell a more logical story about the research you are doing, how the questions emerged for you, and how what you are writing about will tie into or contribute to your field. By thinking of this section of your study rather as a contextual framework, a structure that will provide a foundation for what will come next in terms of the conceptual/theoretical and methodological frameworks or sections, and the data analysis, findings and conclusions later on, you could avoid this literature review pitfall. This section of any thesis or paper will never be easy, I don’t think. For PhD students especially, working out what you actually think in relation to so many published voices who seem to have so much more authority and right to speak that you do can be scary, and overwhelming. Often, I think, literature reviews that read as turgid lists of everything the student has read come from that place of being scared that they haven’t done enough, or read enough, and they so badly want to appear and be credible and authoritative. Part of becoming a doctor is learning to manage that fear, and find a way to focus your writing and research on what will make the clearest, most sensible and accessible argument for your readers. Thinking of creating a contextual framework – a holding structure for your thesis that will connect into your conceptual/theoretical and methodological frameworks to create a very clear foundation, set of tools and action plan for your thesis or paper, might be a way of doing just that. I’d love to hear from you if you feel this helps, or if you have found other ways to make literature review writing less scary and challenging. I love ‘contextual framework’! It makes so much more sense than literature review. When I worked in what was then called the Environmental Education Unit here at Rhodes I was intrigued that the assignment required of Masters students BEFORE coming to the first of a number of week-long sessions, was a reflective piece on their ‘context of practice’. The first major assignment, after the first session, was a detailed contextual profile of their practice (and therefore study). I followed this process when doing my PhD – and for all the reasons you state above – it seemed to be a really useful way to help frame thinking. Great blog! Thanks, Karen :). Part of the inspiration was also seeing the number of undergraduate students that are being required to write literature reviews as stand-alone assignments with no research project context, which then are summary and synthesis exercises. I think that those who do become postgrads carry this way of reviewing literature through with them, and then really battle to move beyond it to a different, more authoritative and context-driven kind of writing about the literature that frames and founds their study. I am on your side Sherran! I have never liked the idea of a ‘literature review’ as such. For me it is a process rather than a product. It is what we need to do – to review the literature in order to situate our study, but we also need to review the literature to frame our work theoretically and to inform it methodologically. We do it to inform every part of our research. So yes! Call it the ‘Contextual framework’ or any other appropriate title that blows your hair back – but I agree NOT the Literature Review!! Thanks Sue! What other terms or metaphors would be useful?